Want to place a wholesale order? 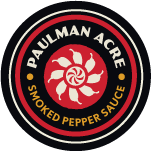 Or maybe you’ve got a favorite local market that needs our sauce on their shelves? How about a killer recipe that you want to share with fellow sauce enthusiasts? Drop us a line and let us know!